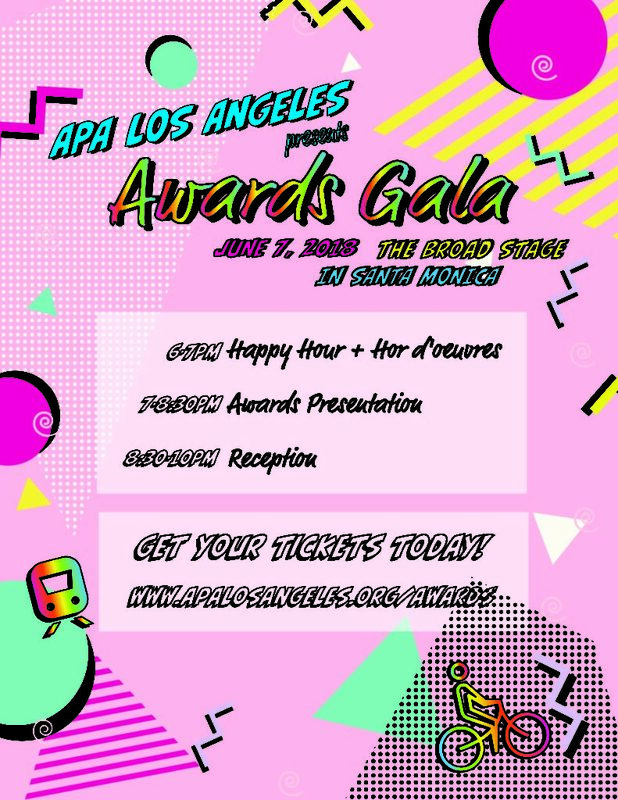 APA LA » Awards Gala Keynote Speaker Announced! Awards Gala Keynote Speaker Announced! APA Los Angeles is pleased to announce the Jessica Meaney as Keynote Speaker for this year’s Awards Gala! Jessica is the Founder and Executive Director of Investing in Place, an organization committed to transportation investments that strengthens communities. She is a transportation advocate who has been living car free in Los Angeles for almost 20 years. Under Jessica’s leadership, Investing in Place has contributed to a paradigm shift in the planning profession, wherein the voices of diverse stakeholders and decision-makers have been leveraged to influence significant policies like Los Angeles County’s Measure M, Metro’s Active Transportation Strategic Plan, City of Los Angeles’ sidewalk repair policy, and Metro’s First and Last Mile policy. Get your tickets to this year’s Awards Gala to renew your enthusiasm for planning, learn of new, innovative approaches to projects, and hear from the Executive Director of Investing in Place!